SoapLab Malaysia: Preservatives: Do I Need It? 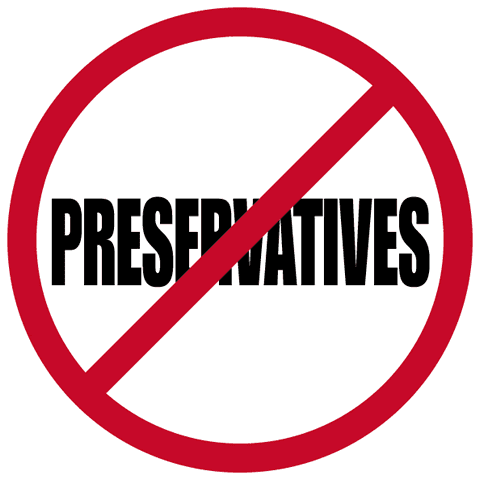 Preservatives: Do I Need It? Preservatives are an important component in most body products that contains anti microbial effect to prevent mold, fungus and bacteria to grow. It's like antibiotics for the products. It kills all these bacteria and molds to make sure your product is safe and have longer shelf life. Are there any natural preservative? No to date there is no natural preservative that's effective. A lot claim it's natural preservative but throughout my research for 7 years since I started experimenting with handmade cosmetics, and after spending thousands on 'natural preservatives', I can assure you that there is non that reaches the expectation to date. Who knows in the future. But what about grape seed oil, vitamin E etc? Aren't they natural preservatives? No they are not. These are anti oxidant. anti oxidant acts by getting oxidised in order to prevent the products to be oxidised and get rancid. In other word these anti oxidants will sacrifice itself as first line of defense against in coming free radical so that the products have longer shelf life and doesn't go rancid fast. When you use antioxidant in products without preservatives, the bacteria and fungus will release free radicals. Free radicals usually works on fats or oils, causing it to become rancid (there is a whole long post on this coming up soon!) 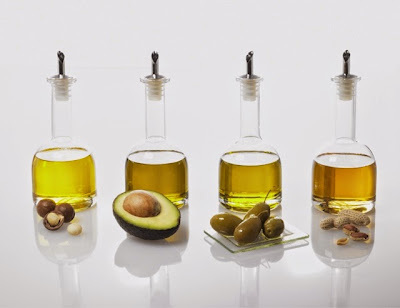 with anti oxidant it it, it will sacrifice itself so that these fats or oils don't go rancid, resulting in fresh product. It has got nothing to do with killing the mold and fungus which is the purpose of a preservatives. Do I need to use preservatives in my soap? Technically yes because it's in contact with water but since soap pH is more than 8.5, and most molds and bacteria loves a slightly acidic pH up to 7.5, soaps are actually safe. But some people formulates the soap especially liquid soap using boric acid or Borox which would slightly bring the soap to a pH of 7.5-8.5. When this happens it's actually safer to use preservatives or you soap will probably have a shelf life of less than 7 days only! If the product I'm doing is in sterilize condition can I skip the preservative? Now this depends. Is ur surrounding so clean like in clean room, ur containers are really sterilize clean and you had vacuum out the air from your packaging before you final label it? Then yes you can go without preservative. But the moment it's in contact with air and water, puff there goes; it's like the best ground for Mr mold and Ms bacteria to grow. Example think about those tetra carton milk we purchase from supermarket. It doesn't contain preservative but it was packed in a stearilize condition. The moment we open it we need to put it in the fridge and it lasted less thn 7 days. It's the same for ur body products. Only since u don't taste it, you have gt no idea how bad it is until you see those green-white eeky things on top. Do I need to put preservatives in product that doesn't have water, 100% oil product? No. Water is the best ground for the bacteria and mold to grow. It doesn't grow in oil. However, if you are going to use your product in a 'water environment' example in the bathroom where you will scoop the product out with your wet hands, and leave droplets of water on the product after that, then yes you need preservatives. Or alternatively keep ur product as dry as possible. So things like this solid almond body butter? Keep it dry after use! Nah! I still dont want to use preservatives. I want my products to be natural. This is really up to you. I know there are many of you who wants things to be as natural as possible but there are some things it's totally not applicable and this is one of it. It's better to put that 1% preservative in it and know that you won't fall sick from the bacteria and mold in the product then not putting it at all. I understand that you will probably throw your products the moment you see any growth but by then the fungus and mold would have multiplied by a million times before you can actually see with your naked eyes. Fungus are about 10-40 microns (1microns are 1/1000mm), and the tiniest particle human eyes can see is 1mm. So imagine before you actually see 1 dust dot in ur product (if you can notice that); mold would have multiplied by 100. Imagine when you see a whole big patch on the product, that's multiplying by a million times already. So that's how many days/months before you stop using the product? You do the maths..
if you want to learn more about adding fresh ingredients into your product, click here. So I need to use preservative in your pour and melt soap base? I know you did mention soap's ph is higher above but I will like to be certain as I'm making to keep for a few months. thank you for ur post.. i made my own lipscrub. isnt fine i put 1% of dmdm in receipt? isnt safe for lips? 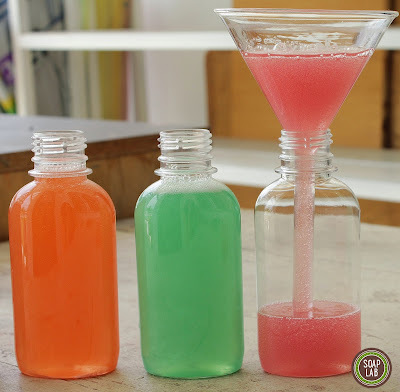 If i want to make face mist by using distilled water , so i need to put the preservative? when to put in the preservative for cp soap? into oil or during thin trace? Edayah- If you add preservatives, it depends again on ur cleanliness and other items thats inside. If you are adding something that has a short shelf life it will still expire fast. But if you dont add any preservatives, anything u make you have to discard within 3 days unless u refrigerate it which will expand the shelf life to about 7 days. As for the preservative, normally it is added at the end stage where temperature and pH have stabilized, due to the fact most of them are sensitive to high pH and temperature. 1) Does cool process soap required to add preservative? 2) Is the preservative only required in liquid soap, but not solid soap? 3) Does your soap base contain preservative? Do I need to add preservative for longer shelf life ? If solid soap if not required preservative which you have already answered in question 1, please ignore. 4) I notice you have mentioned if the product doesn't contain water, preservative is not required (Which I have googled it as well). However, in one of your course "HOW TO MAKE SUGAR SCRUB (NON GREASY)", "6)4.5g DMDM Hydantoin (Preservative)" is one of the ingredient you have mentioned. Could you please briefly explain it? 5) I have just go through "HOW TO MAKE: PINEAPPLE JASMINE SHAMPOO" and found there is no preservative in the ingredient list. Again, is the preservative already included in the base? Or we have to add it ourselves in order to expend the shelf life? 6) May I know how long can I keep for your soap base? Hi as mentioned above; most cp soap or the liquid castile soap soaplab makes has ph of 8 and above thefeore it doenst need preservative. Tht basically ans 1, 2, 3, 5,. As for the sugar scrub the reason why we add preservative is because it will be exposed to humid watery area and watery hands will be scooping it out so it needs preservative; as mentioned in the article too: (100oil product or product with no water). As for how long; if unused its 2 yrs but once exposed to air (started using it in bathroom) try to finish it within 1-2 months.